New for September 2017, please CLICK HERE for more information! In June 2015, Riverbank Academy transferred to our state of the art purpose built building. We are very proud of our new school and the facilities we can provide. Our classrooms are engaging learning environments, supporting student engagement and communication. Our students benefit from a modern, well-equipped sensory room. It has a bubble tube, projector, heated water bed, light stimulating objects, colour changing lights. Our sensory garden was completed in September 2015. It is a safe, stimulating, multisensory environment, rich in outdoor learning opportunities. 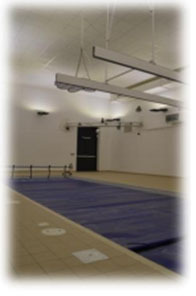 We have a state of the art hydrotherapy pool which is multi-sensory and interactive. This supports our student’s motor skills and physical development. We have subject specialist rooms to enhance the learning opportunities of our students. Our specialist rooms are equipped to a high standard and allow our students to engage in practical learning.